Since 2014, we have been a leading name for high-quality bathroom remodeling at a competitive price. Your home is your greatest investment, and you need to know that your property is in the best of hands when planning a remodeling project. With decades of industry experience under our belts, Home Concepts Custom Remodeling has been a leading name for professional bathroom renovation services throughout Phoenix since 2014. Professionalism: As a BBB-accredited company with an A+ rating and many past referrals, our team exemplifies professionalism within the remodeling industry. Commitment: Customer service is at the heart of our family-owned business, and we take our commitment to your satisfaction seriously throughout every remodel. Quality: By offering custom products, one-day installations, and honest, reliable service, you can count on us to deliver superior quality with every renovation. Expertise: Our team is factory-trained by Luxury Bath and highly experienced in providing full-service bathroom remodeling with guaranteed results. Roll in and low barrier showers. New bathtubs and shower systems. Stylish accessories, custom options, and more! 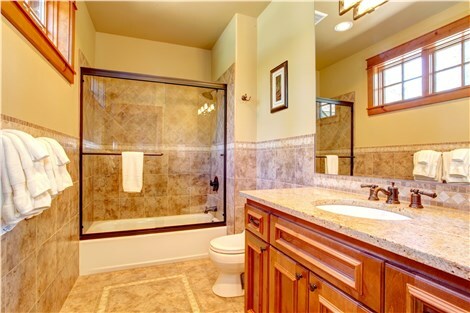 At Home Concepts Custom Remodeling, our team of professionals is fully committed to delivering exceptional service and support with your bathroom renovation, and we’re known throughout Phoenix for our high-quality bath solutions. Learn more about our crew, mission, and remodeling services by giving us a call today, or simply request an appointment for an in-home, free estimate and consultation by filling out our online form now!